This stunning Danish modern, mid century, sofa is a true show stopper. The sofa features a subtly curved back, generous scultped arms, and beautiful walnut trim pieces. The gorgeous leg base gives the sofa a light, floating effect. The best part of this sofa is it looks just as great from behind, with the exposed walnut frame. Brand new upholstery and foam ensure another 60 years of daily use. 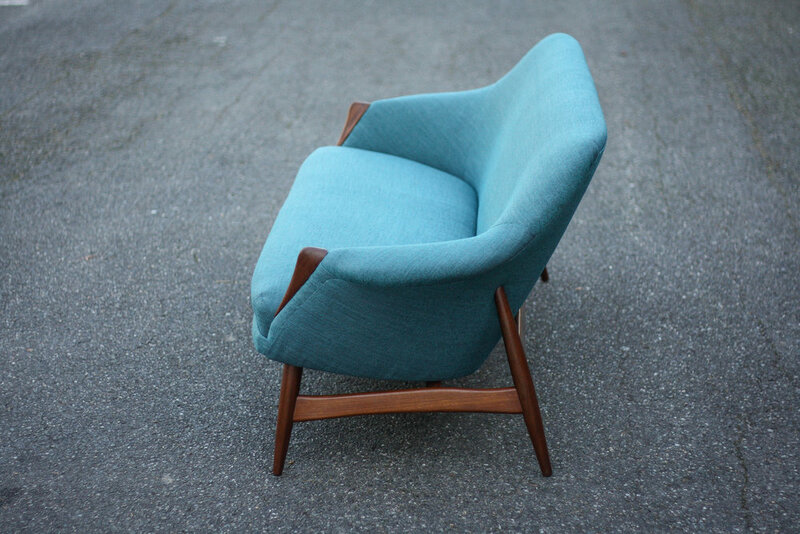 Be sure to check out our other listing for a matching pair of his/hers chairs. Not much else to say as the pictures say everything!